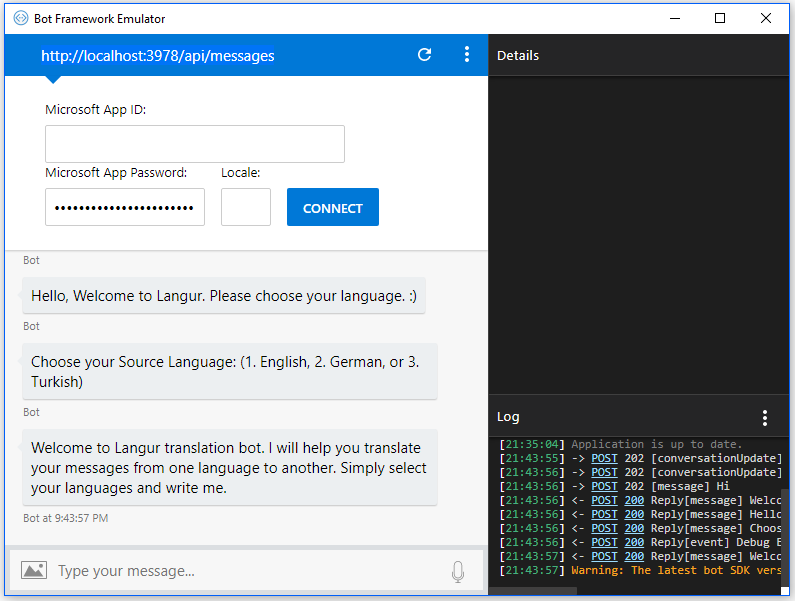 Langur is a translation chat bot made with Microsoft Bot Framework with Node.js and a free Google translate Api. I made it as project to get started with chatbots and then later, I made it opensource. Source code is available on Github. You can read more about it and how to run it, on my blog. 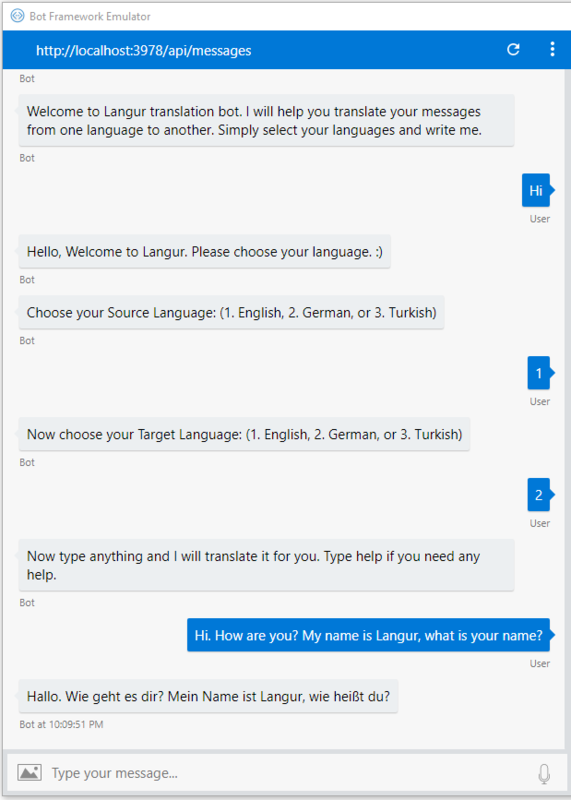 These are some screenshots of the chatbot. In the beginning, the bot asks you for your source and target language and then it translates whatever you type into it. Langur - Language translation chat bot is released under GNU General Public License v3.0. Please refer to the LICENSE file for detailed information.